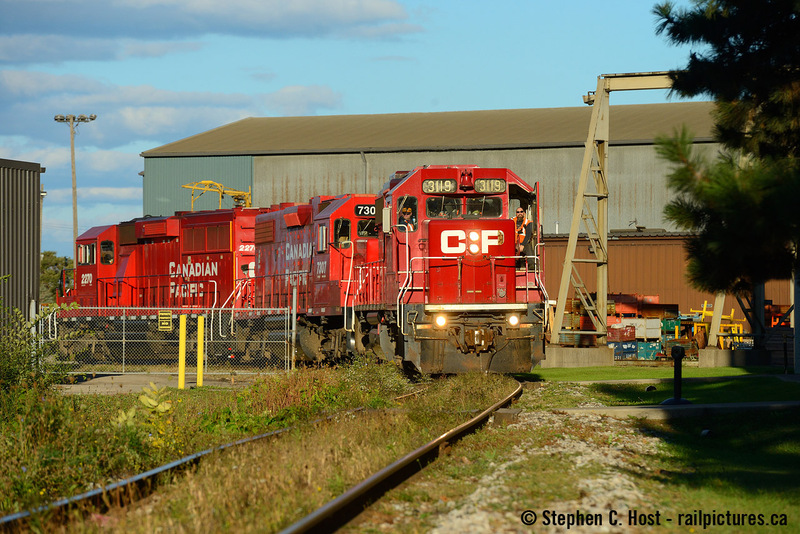 Railpictures.ca - Stephen C. Host Photo: Up in North Hamilton, the area SOR/CP refers to as the “Far East” of the Industrial basin of Hamilton, CP’s Kinnear yard job is returning from switching VFT in the last golden rays of a fall day. | Railpictures.ca – Canadian Railway Photography – photographie ferroviaire Canadienne. Caption: Up in North Hamilton, the area SOR/CP refers to as the "Far East" of the Industrial basin of Hamilton, CP's Kinnear yard job is returning from switching VFT in the last golden rays of a fall day.